CheckInOn.Me: Giving peace of mind and a proactive safety net to anyone who feels unsafe. 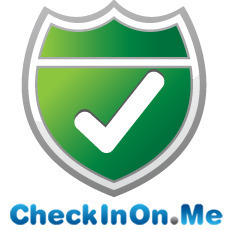 CheckInOn.Me is a proactive automated personal safety system designed for mobile phones. We'll check on you as often as you want, whenever you want. If we don't get the right response in the right amount of time, we contact your selected and confirmed friends and family. Our smartphone app maps everybody, and facilitates communication between your emergency contacts so they can coordinate getting help, if it's needed. Perfect for online dating, Craigslist transactions, realtors, teens and college students, commuters and travellers, and the elderly or infirm. Our products are a smartphone app (B-to-C) and an API (B-to-B). The app is in Google Play as an early alpha [https://play.google.com/store/apps/details?id=com.ciom.checkinonme]. Our API in is public beta as of mid-September 2012 [http://checkinon.me/developer-api]. Try them out! We have many competitive advantages. One is that we have a patent dating back to April 2011. We are the only service properly addressing the two things a safety system has to be to truly work: it must be proactive, and it must be difficult or impossible to disengage. Any safety system or panic button that waits for you to do something, or any system/app that is easy to disengage or cancel is not truly keeping you safe. Our system is proactive and nearly impossible to disengage. We also learned a great deal from the user interviews we've done and the MVP we released in 2011. We had about 50 people try it. People loved the idea and wanted to use it, but found our execution (a web interface for extensive setup) to not be what they wanted. They wanted a smartphone app. So 2012 has been spent on rethinking a smartphone execution, design, and doing the programming and testing. We're starting with Android, which is harder, but we believe that iPhone users have less patience for alpha/beta software than Android users might have. Our team are Android users, and we're used to software being a bit buggy, complaining to the developer, and seeing a new version come out the next day. Debbie pioneered website development back when most people were wondering what AOL was. Her passions are in UX, interaction design, usability, and how to use those to make lives and businesses better. I'm an application architect with strong leadership skills. I strive to excel in understanding and communicating just as well as doing when it comes to the most appropriate ways of getting a job done. CheckInOn.Me has two ways to make money. Our main way will be API licensing. The other is through paid subscriptions to our smartphone app once the free trial period runs out. We expect smartphone app pricing to be just a few dollars per month, which is in line with what other apps with fewer features are charging. The most likely types of businesses likely to license the API include companies in the dating, travel, college student, and realtor spaces. We consider those our lowest hanging fruit, though our technology can certainly be used for any website or mobile app. For example, imagine an iPad app that checks every few hours that Grandma is OK, and also checks that she took each of her medicines. Way more proactive than LifeAlert. Imagine an online dating site or dating app offering checking to customers who are going to meet up. This should help the customers feel and be safer. The dating site could offer it for free as a value add, or could charge for checking as a revenue stream. CheckInOn.Me was featured in a VatorNews article: "Today's Entrepreneur: Debbie Levitt"